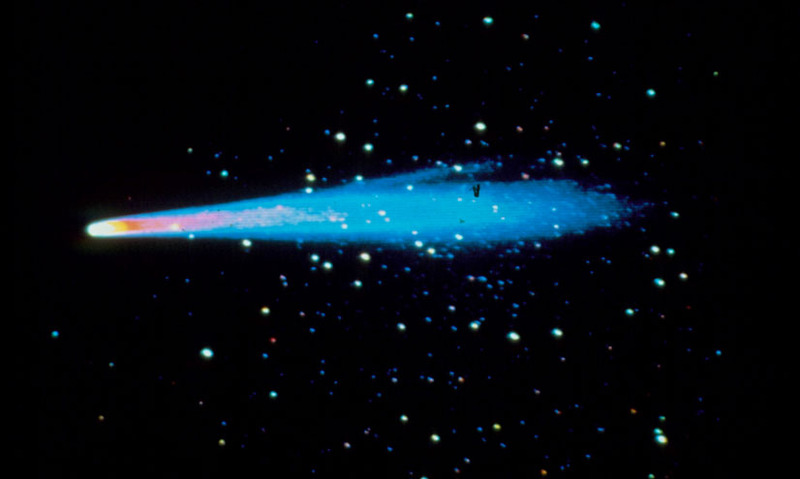 The most well-known comet, and brightest of the comets that have a relatively short period orbit. The most well-known comet, and brightest of the comets that have a relatively short-period orbit. Named for the British scientist Edmund Halley, it appears every 76 years, and is next due in 2061. On its last close approach to the Sun, space probes from the USA, Soviet Union and Japan flew by Halley, giving us our first close look at a comet. Named for the British scientist Edmund Halley, it appears every 76 years, and is next due in 2061. On its last close approach to the Sun, space probes from the USA, Soviet Union and Japan flew by Halley, giving us our first close look at a comet.